Sorry, Brand New Cage LP (Turquoise Vinyl) is out of stock. 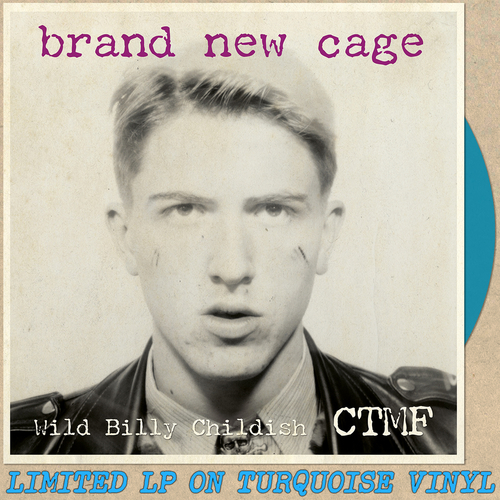 Brand new album from Billy Childish's CTMF! Wild Billy Childish & CTMF are back with their fifth album in five years. Brand New Cage follows the critically acclaimed SQ1 album from 2016. It features 10 new Billy Childish songs along with two written and sung by the band's bassist Nurse Julie. Subjects include lost landmarks of '70s Chatham, the true revolution of punk, spirituality, lost loves and the sidelining of Brian Jones from The Rolling Stones.